China recovered all territories lost to ژاپون ایمپیراتورلوغو since the Treaty of Shimonoseki, but lost Outer Mongolia. چین-ژاپون ساواشی' — ۱۹۳۷–۱۹۴۵-جی ایللر آراسی چین و ژاپون آراسیندا باش وئرمیش موناقیشه. ↑ David Murray Horner (July 24, 2003). The Second World War: The Pacific. Taylor & Francis. pp. 14–15. ISBN 978-0-415-96845-4. Retrieved March 6, 2011. ↑ Hsiung (1992). China's Bitter Victory (in English). Routledge. p. 79. ISBN 978-1563242465. ↑ 中国人民解放军历史资料丛书编审委员会 (1994). 八路军·表册 (in Chinese). 解放军出版社. pp. 第3页. ISBN 978-7-5065-2290-8. ↑ Hsiung, James C. (1992). China's Bitter Victory: The War With Japan, 1937–1945. New York: M.E. Sharpe publishing. ISBN 1-56324-246-X. ↑ Black, Jeremy (2012). Avoiding Armageddon: From the Great Wall to the Fall of France, 1918–40. p. 171. ISBN 978-1-4411-2387-9. ↑ ۱۳٫۰ ۱۳٫۱ Clodfelter, Michael "Warfare and Armed Conflicts: A Statistical Reference", Vol. 2, pp. 956. Includes civilians who died due to famine and other environmental disasters caused by the war. Only includes the 'regular' Chinese army; does NOT include guerrillas and does not include Chinese casualties in Manchuria or Burma. ↑ ۱۴٫۰ ۱۴٫۱ ۱۴٫۲ Rummel, Table 6A..
↑ ۱۵٫۰ ۱۵٫۱ ۱۵٫۲ ۱۵٫۳ R. J. Rummel. China's Bloody Century. Transaction 1991 ISBN 0-88738-417-X. ↑ ۱۶٫۰ ۱۶٫۱ Rummel, Table 5A. Retrieved 5 October 2015. 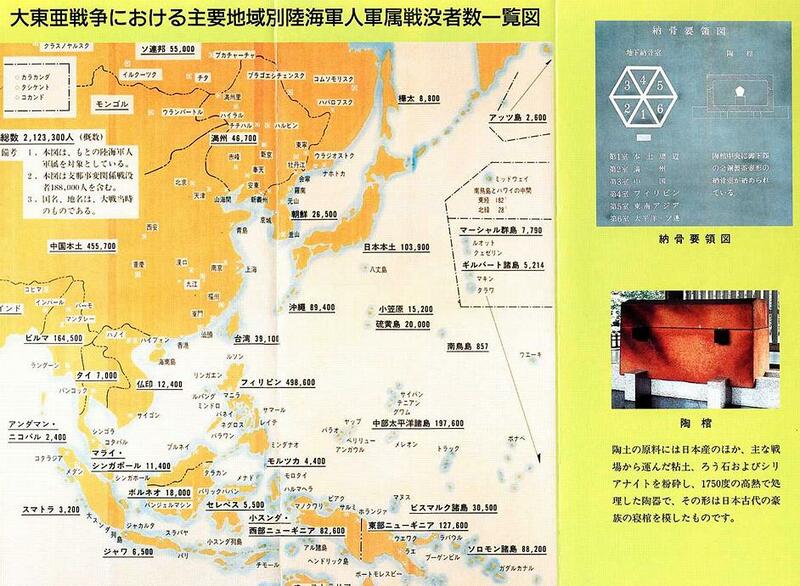 ↑ 戦争: 中国侵略（War: Invasion of China） (in Japanese). 読売新聞社. p. 186. Retrieved 15 January 2017. بۇ صفحه‌‌ سوْن دفعه ‏۱۹ فوریه ۲۰۱۹، ‏۱۷:۱۶ تاریخینده دَییشدیریلمیشدیر.